Yes, it does taste good! 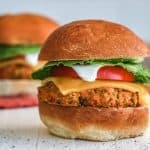 The number one question after I teased photos of these Pumpkin Veggie Burgers was, “does that taste good?” Bear in mind, these are NOT “pumpkin spice” veggie burgers. Just pumpkin 🙂 So, don’t worry, these won’t remind you of your favorite fall candle. In this case, the pumpkin makes the burgers moist and tinted orange. These pumpkin veggie burgers are based on my other veggie burger recipe, Poobah’s Veggie Burgers. But, instead of using beets as prescribed in that recipe, I substitute canned pumpkin. Be sure it’s the 100% pure pumpkin and not pumpkin pie filling. The pie filling is sweet and doctored up with cinnamon, nutmeg and ginger, which don’t jive so well with a savory burger. Most of the original recipe stays the same, but I do make a few tweaks in this version to acommodate the extra moisture coming from the canned pumpkin. 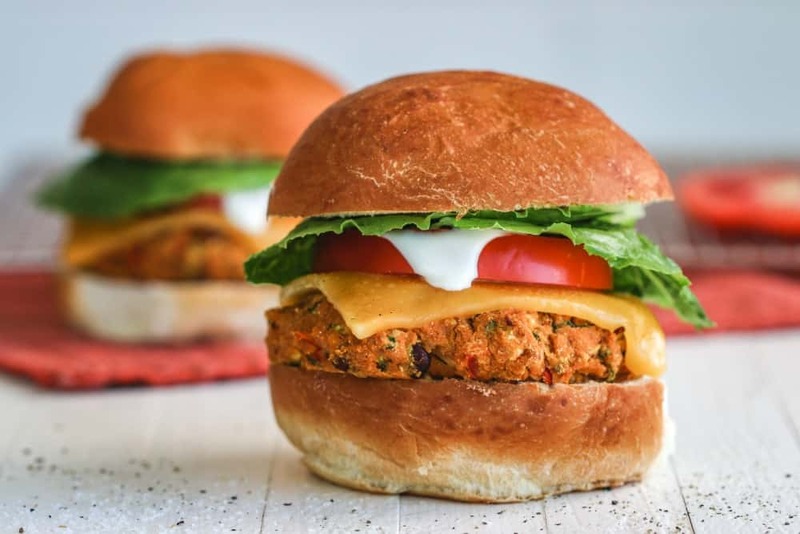 I love these pumpkin veggie burgers because, unlike a lot of veggie burgers, these don’t crumble apart when you throw the on the grill. Too, they just happen to be vegan and gluten free. Though, if you’re GF, be sure to use Tamari or some other gluten free soy sauce. 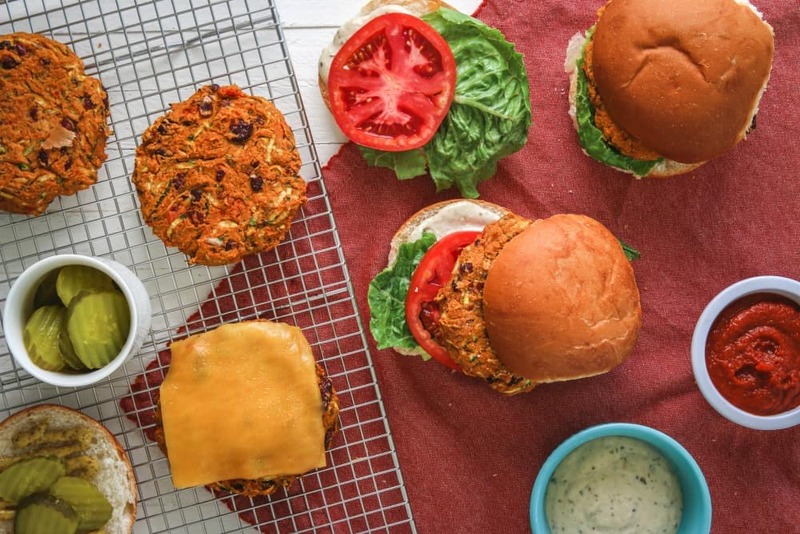 One of the important ingredient in these veggie burgers is garbanzo bean flour. A lot of people ask if a nut flour or other alternative flour can be used. 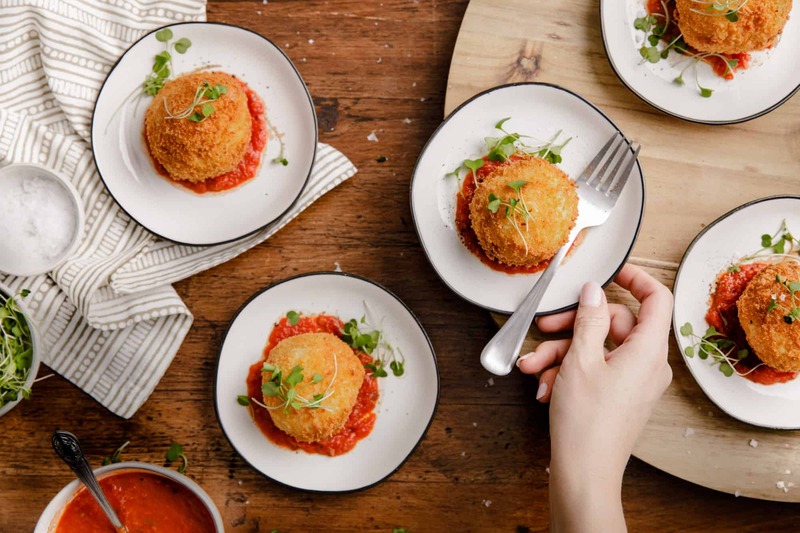 You are obviously welcome to try any flour, but the garbanzo bean flour is especially effective in this recipe because of its ability to absorb moisture and add flavor. It’s the perfect binder to help hold these burgers together. One thing to note when prepping these is that the “batter” will be sticky and soft. Don’t worry, though. Once you bake the formed patties for 20 minutes in the oven, they magically firm up, but still retain their moisture. Afterall, no one wants to eat cardboard burgers. 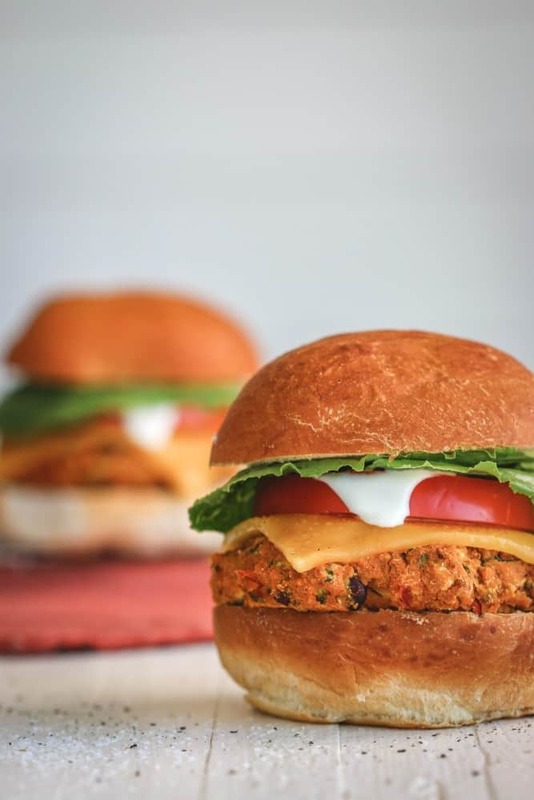 Homemade veggie burgers made with chickpea flour and pure pumpkin, loaded with spices and other colorful vegetables. Drain and rinse the kidney beans and place in a large bowl, mashing with a fork until all beans are broken and a rough paste is created. Add in all remaining ingredients except the oil and mix to combine. Adjust salt based on your taste. Form mix into patties. They will be rather wet, but should still form a patty. Add more chickpea flour if needed. Place patties on parchment paper on a baking pan and bake for 20 minutes at 375F. Remove patties from oven and prepare for serving. Heat 1 Tbs olive oil in a skillet over medium-high heat and quickly sear patties on each side to slightly brown and crisp. Serve patties with your favorite burger accompaniments!